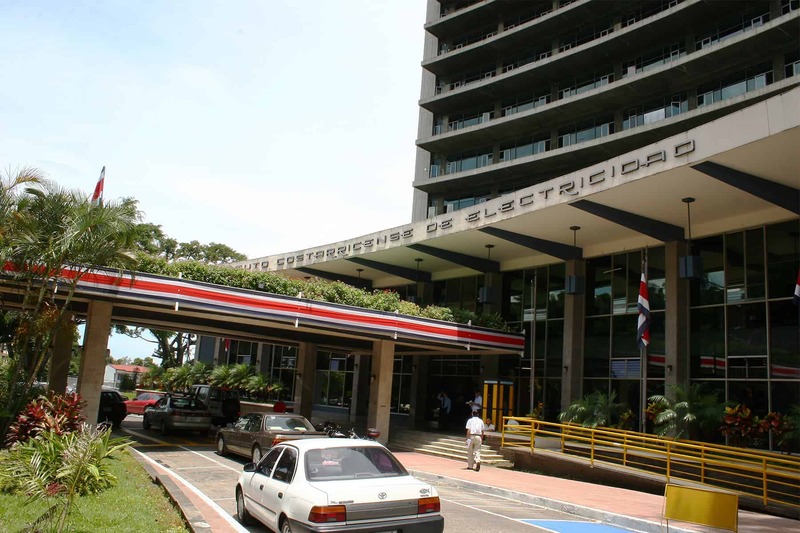 The Costa Rican Electricity Institute (ICE) on Tuesday reported that on July 30 telecommunications company ALCATEL-Lucent paid $10 million in damages in a settlement agreement over a corruption trial here known as the ICE-ALCATEL scandal. ICE’s board of directors on June 8 authorized an out-of-court settlement in the civil case. The criminal case, however, will continue, ICE said in a press release. The ICE-ALCATEL case originated in the late 1990s when Costa Rica began a transition from TDMA mobile telephone technology to GSM. Following studies and public bids, ICE in 2001 awarded French telecommunications giant Alcatel a $419 million contract to supply 400,000 GSM lines. In 2004, an alleged corruption scandal made headlines as the daily La Nación revealed that ALCATEL executives paid bribes to win the contract. Indictments at the time involved top government officials including ex-President Miguel Ángel Rodríguez Echeverría (1998-2002), ICE managers and Alcatel top executives. The trial began later that year and the criminal case is still pending, as defendants were first convicted, then acquitted. But last year, an appeals court ordered a review of the acquittals. ALCATEL and Lucent Technologies merged in 2008, and the new company began negotiations to reach an out-of-court settlement in the civil case for damages against Costa Rica and ICE. That same year the company made a first payment of $10 million to the Costa Rican government. But between 2012 and 2013, the government rejected various additional settlement proposals, all under $5 million. Earlier this year, ICE accepted the $10 million proposal that was finally paid last week. “The agreement with the telecommunications company is a milestone for ICE. This is the first court case where the [Costa Rican] government claims damages that are compensated at this magnitude,” ICE attorney Germán Calderón said on Tuesday. Former President Rodríguez in April 2011 was sentenced to five years in prison for influence peddling that led to the granting to ALCATEL of the contracts, but an appeals court in 2012 overturned the conviction and acquitted him. Last November, justices of the Criminal Chamber of the Supreme Court, or Sala III, overturned the ruling that acquitted Rodríguez and ordered the appeals court to conduct a comprehensive analysis of Rodríguez’s conviction and issue a new ruling. Various ICE and government officials also were convicted and then acquitted during the ICE-ALCATEL trial. Guido Sibaja Fonseca, Edgar Valverde Acosta, Luis Adrián Quirós received sentences of 15 years, while Joaquín Fernández Alfaro, Eliseo Vargas García and Eduardo Fonseca García were sentenced to two years each on charges of aggravated corruption and illicit enrichment. Christian Sapsizian Auvignon, former vice president of ALCATEL Latin America, was not prosecuted in Costa Rica. He pleaded guilty in a U.S. court to paying more than $2.5 million in bribes. In 2008, he was sentenced by a Miami court to 30 months in prison for conspiring to pay bribes to Costa Rican officials. He was required to forfeit $261,500 and serve three years of supervised release. The Attorney General’s office still maintains a $52 million civil action against the defendants, which is at a stalemate pending results of the criminal case.